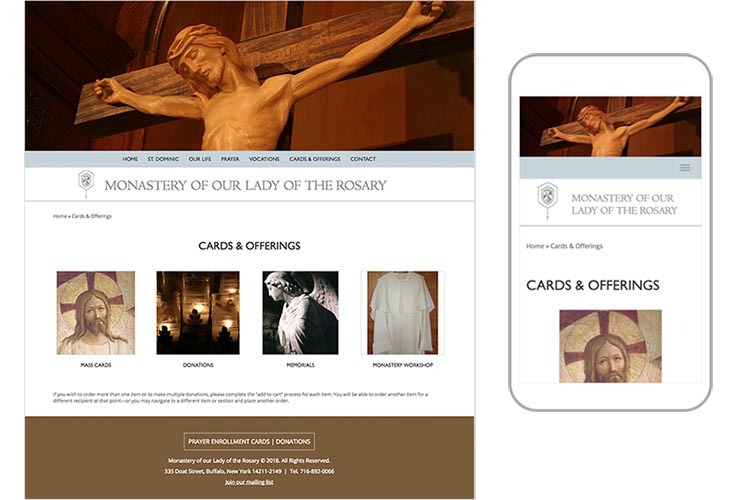 This website was designed to replace one that was several years old—not only to ensure the site is responsive but to address the lack of appeal to young women that the old, medieval-inspired site had. 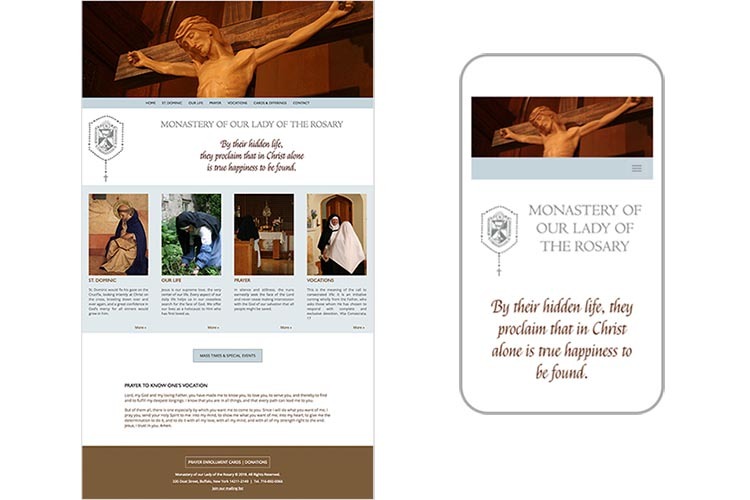 The challenge was to create a site that reflected the depth of the centuries-old tradition of cloistered life while also addressing the application to contemporary life. 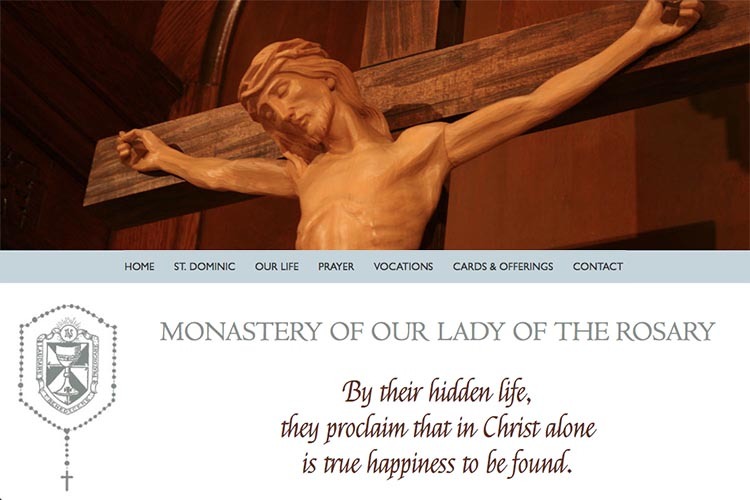 What we’ve done is create a warm, highly visual site with a contemporary layout. 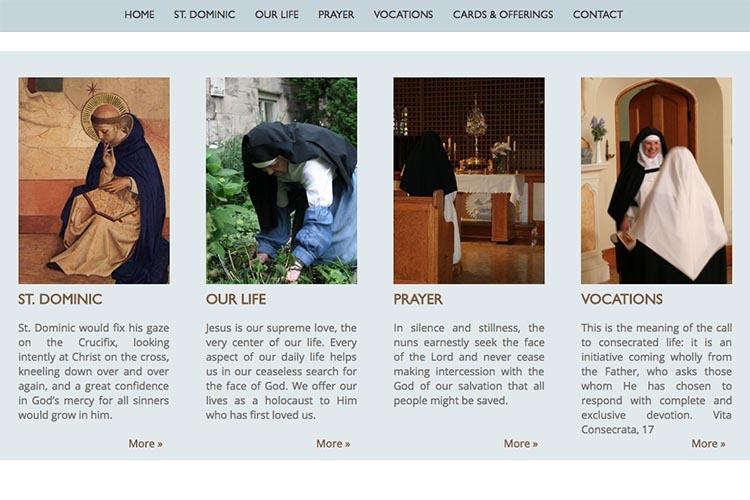 It offers easy navigation to the many pages of information and a colorful mix of religious iconography with images of modern monastic daily life. 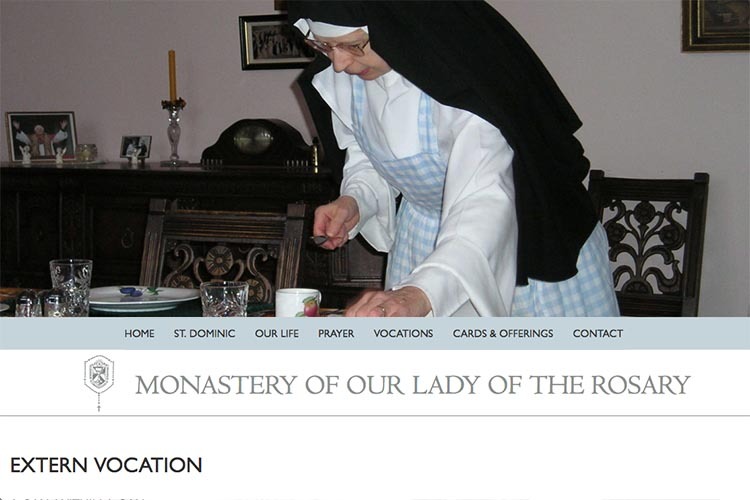 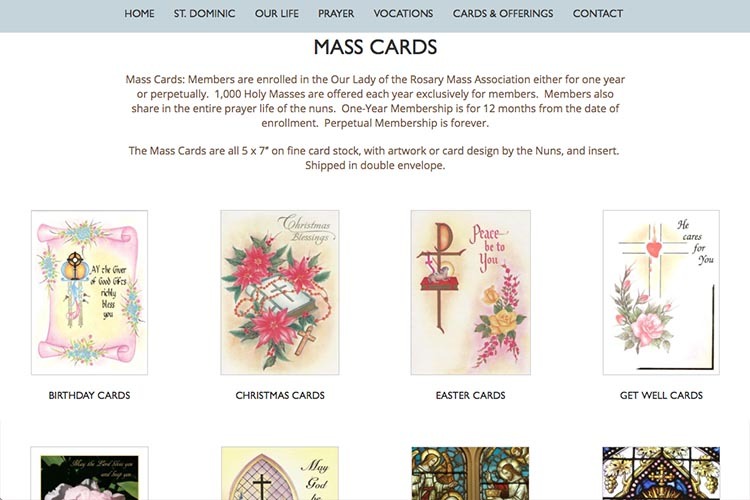 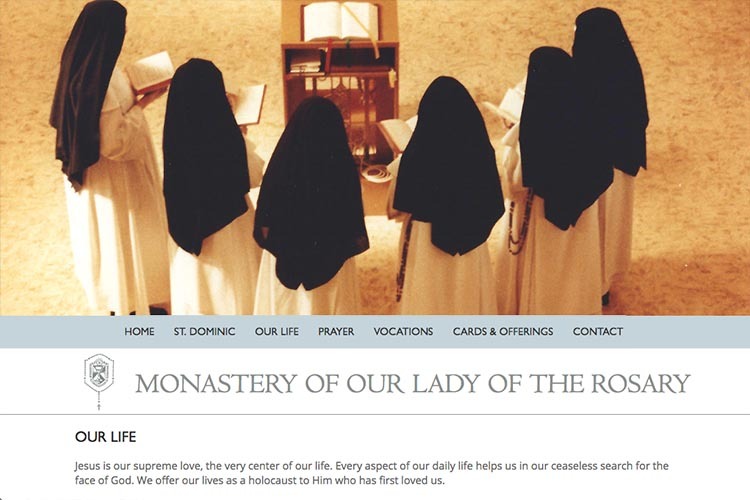 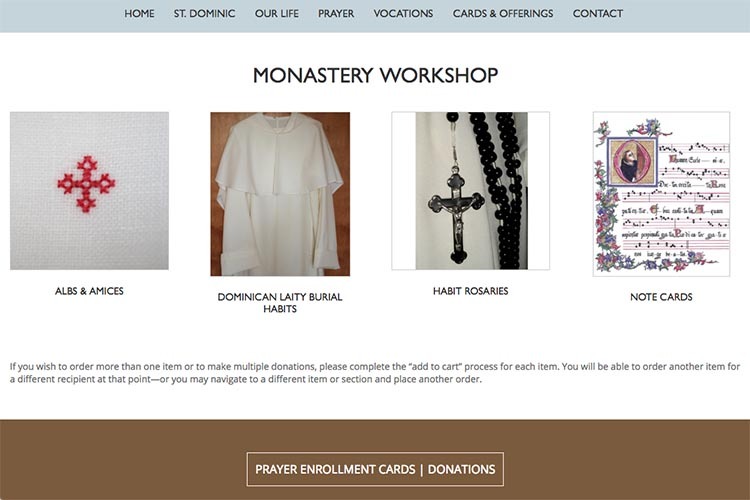 An e-commerce section allows the monastery to offer hand-made cards and clothing items for donations, as well as accept regular donations and request memorials. 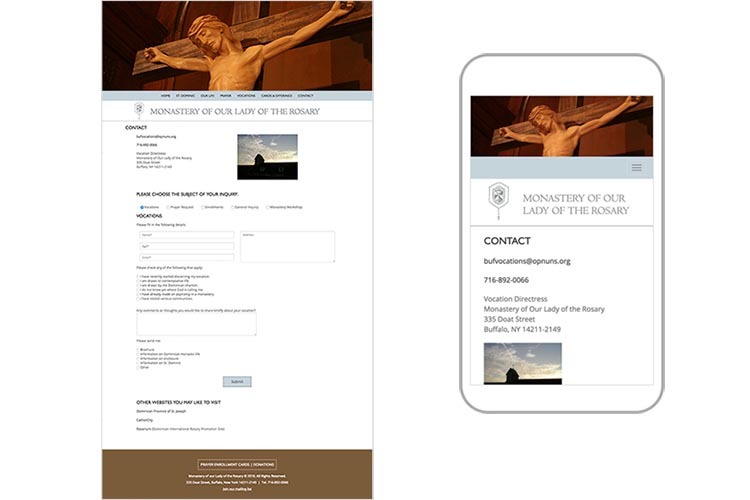 The contact page features a form that offers different fields according to the inquiry subject chosen.